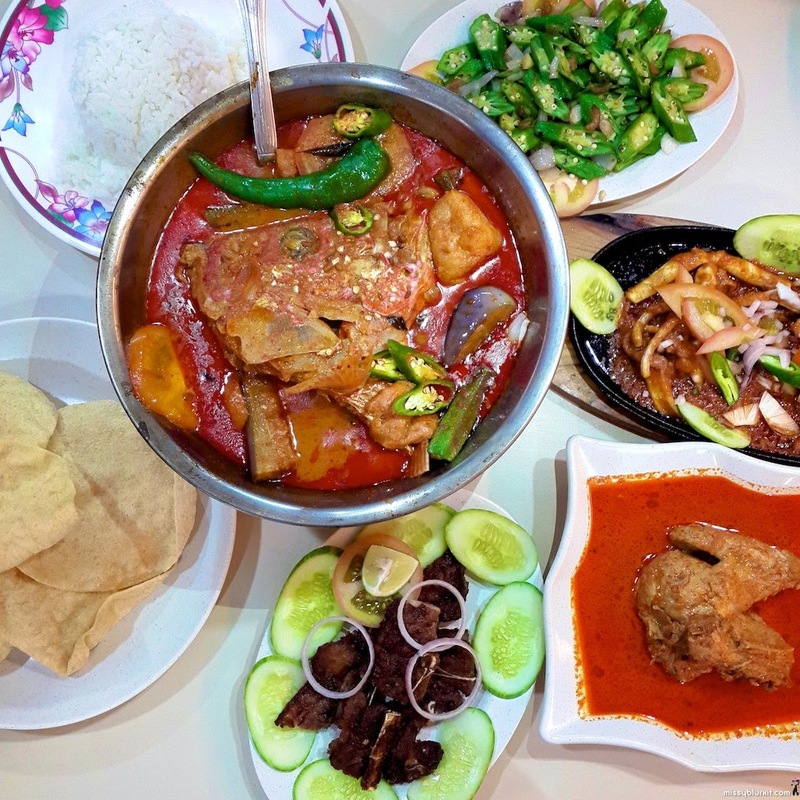 For those who crave a good and hearty fish head curry with a touch of homeliness then Ratha Raub is your solution stop short of cooking on your own. 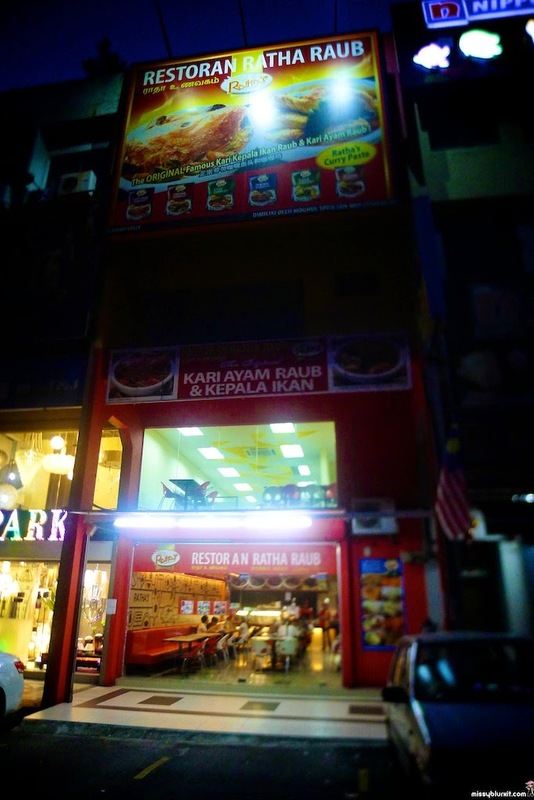 Of course there is no need to travel all the way to Raub for a meal because Ratha Raub is also in Damansara Uptown. I have been running a lot more these days so its natural that I have been craving some carbs so the hubster suggested fish head curry. So we took a short drive to Damansara Uptown (long drive would be to their first shop at Raub and their second shop at Gohtong Jaya). Service is prompt and I will say that the set meals that they offer will be good as starters for those who can't decide on what they want. And since there are so many items that I was keen with, we decided to go ala carte (and in a way to fuel me for the weekend's marathon). Between the 2 of us it was 5 dishes. Sounds a lot and yes it was a lot because the serving portions in Ratha Raub is decent despite the reasonable price that we are paying for a meal where rental is definitely rocket high. 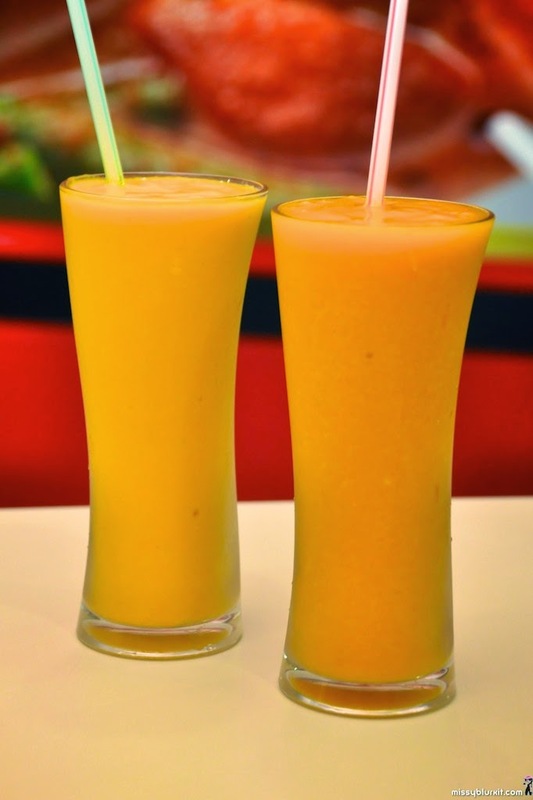 A nice start to your meal would be some fresh juices and lassi. The Mango Juice RM4.50 and Mango Lassi RM5.50 are highly recommended. Seriously thick and satisfying and does wonders to ease the tummy after a fiery meal. 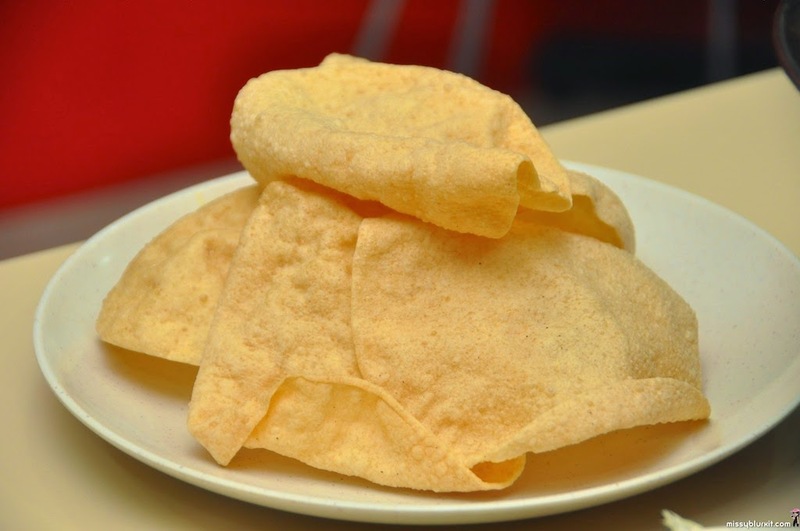 Of course a nice nibble would also be the terribly addictive Papadam RM1.80 that goes equally well with our meal. Rice RM1.60 is a must and I will have to say the rice servings are huge. Each plate isn't quite your chinese rice bowl size. Its more like a soup bowl worth of rice! And before you think of asking for a smaller portion, hold on to your horses. 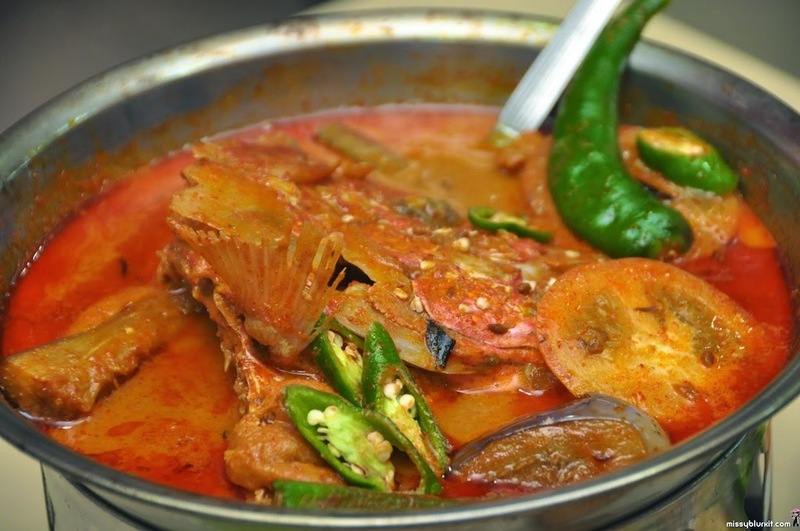 Once Ratha Raub's Famous Raub Fish Head Curry RM39 arrives, you will be glad that you have a big plate of rice! The fish is tender and without a doubt fresh. 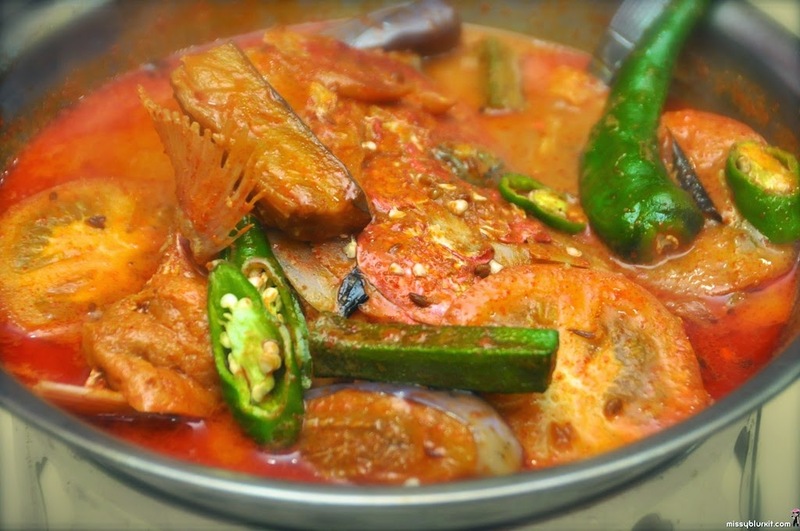 Made with a family recipe that has been perfected and proven popular with the Raub folks for many years, its no surprise that people throng Ratha Raub for their delightful fish head curry. Kept warm with a tealight, the gravy is simply delish. Quality control seems to be key in Ratha Raub with the owners visiting their outlets every few days. 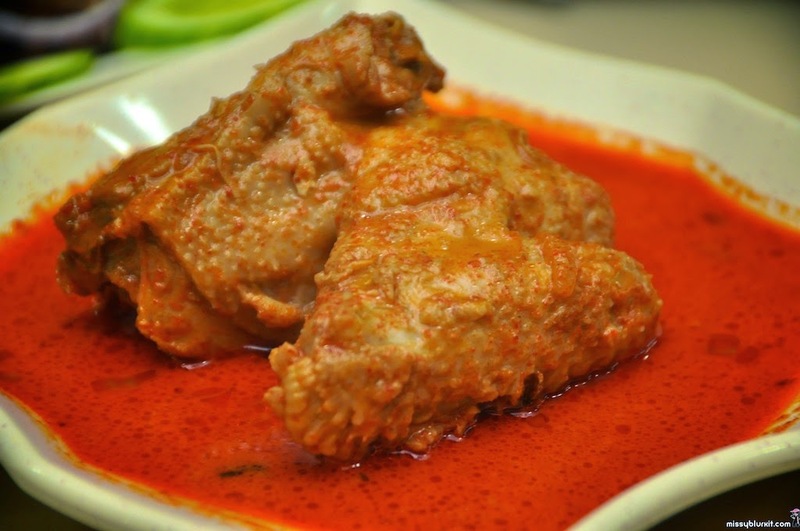 More spicy goodness in the form of Famous Raub Chicken Curry RM4.90. Its a little too rich for me but the hubster loved it to bits and thought that this would be nice to eat with some roti canai or even just plain bread. 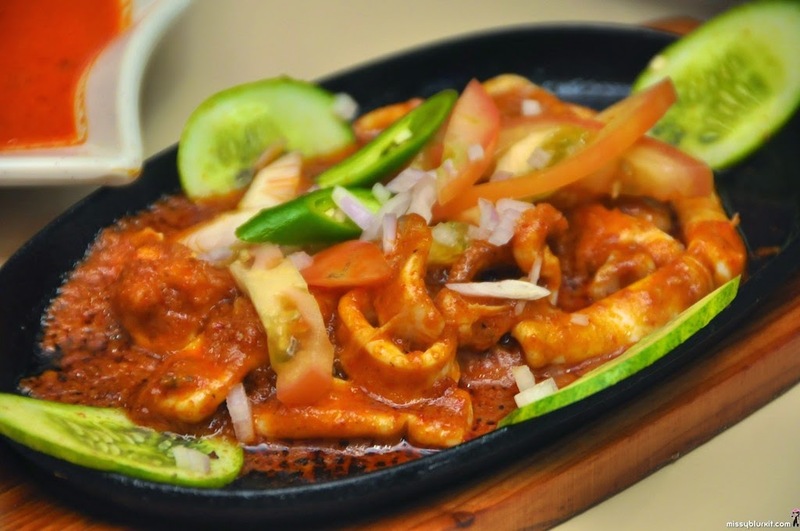 I love squid sambal and most places always end up serving rubbery squids. The Squid Sambal RM8.90 at Ratha Raub has to be one of the best I have had. The sambal is not as spicy as I would love it to be but its a nice enough considering the fact that we already have 2 types of curries on our table. I can imagine just how delightful the squid sambal would be with some nasi lemak that I see a few tables having. Game play would be to return for nasi lemak and of course this squid sambal! Unlike most restaurants that pre fry their vegetables, Ratha Raub cooks them the moment you order. So we are looking at mummy's home cooked vegies when dining at Ratha Raub. 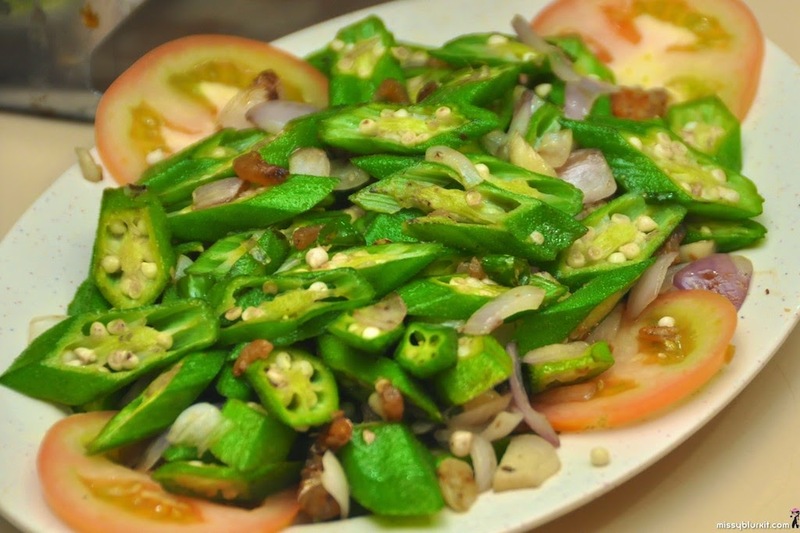 The plate of Stir Fried Ladies Finger RM7 is definitely not oily or overly slimy. It was a nice touch to our choice of spicy dishes above. 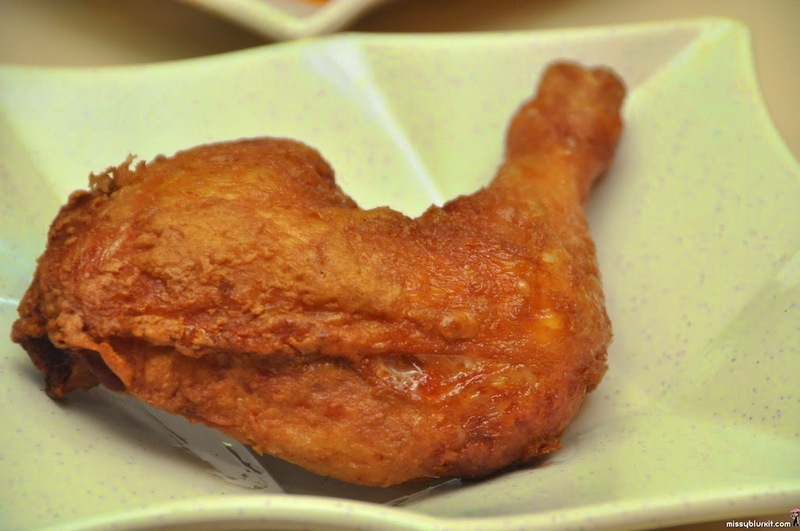 Famous Raub Fried Chicken RM4.90 apparently is also another popular dish here. I am not much of fried meat person so this was to satisfy the hubster's cravings for fried chicken. Crispy skin and tender flesh...no complains whatsoever from either of us. 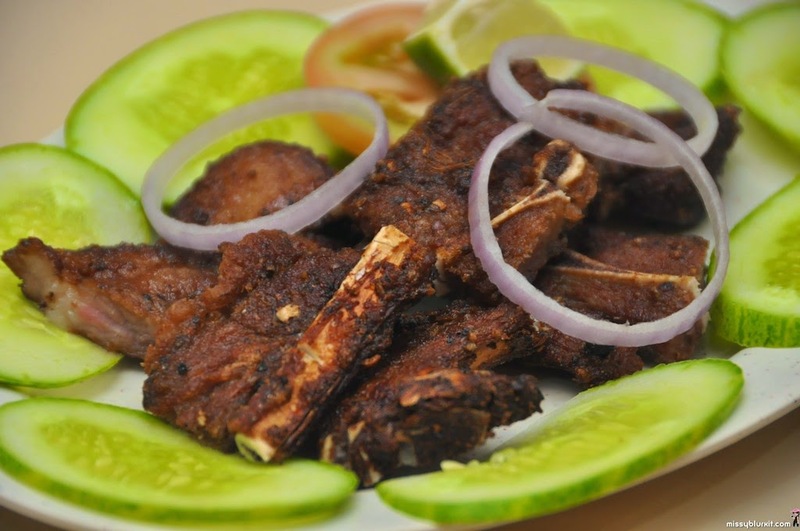 I mentioned that I am not much of a fried meat person but the Fried Lamb RM9 left me speechless. 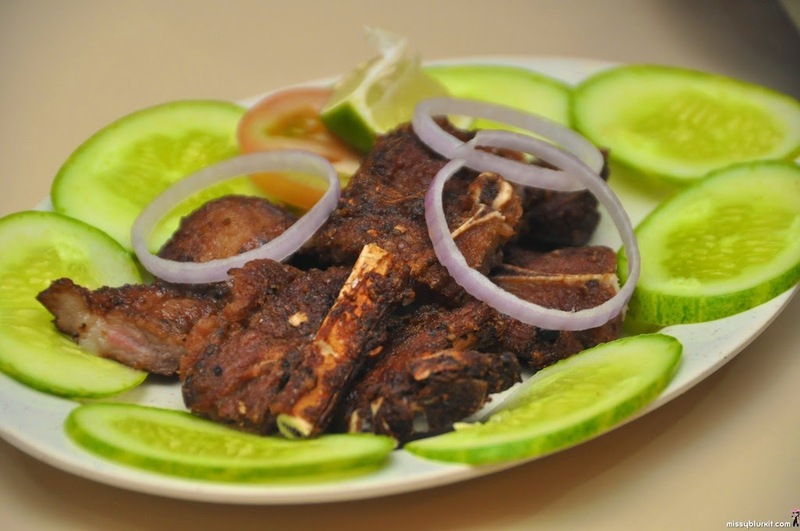 A plate of succulent lamb marinated with simple ingredients of soy sauce and spices, fried only upon order. It was so good that I could not stop on one piece...I just wanted more and more and more. It will certainly go well with just a plate of warm rice. 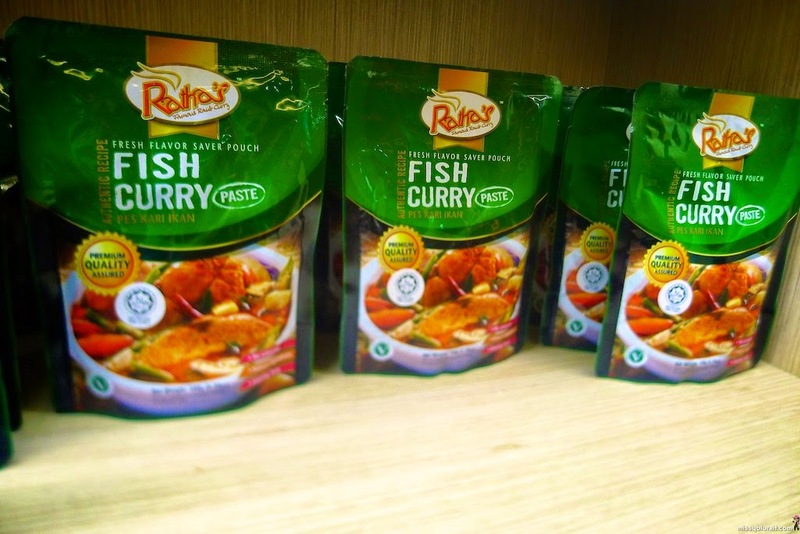 And if you fancy whipping out some curries at home, then check out their ready made spices for the different curries. The staff tell me its the same one that they are using in the kitchen themselves! Ratha Raub in Damansara Uptown is air conditioned, making it a perfect place for that fiery meal. And to my heart and wallet's delight, this Ratha Raub outlet is also partnering with Offpeak to offer 20% discounts (ala carte dishes only) during its offpeak hours on Mondays to Fridays at 2 sessions of 9:30am to 11:30am and 3:30pm to 5:30pm.